The Sirena Dress has a timeless silhouette that you will wear all seasons. The fitted bodice comes in A, B, C, D and DD cups, so you can choose the one that suits you best. Make with a floral cotton for a Spring dress, a tropical wool for an office dress, or shimmering silk for an evening dress. Don’t want to print and tape paper together? The Sirena Dress pattern now includes an additional large format file (size A0 paper) that you can send to your print shop to print! After determining the cup size, compare your bust circumference (fullest part) to the “Body Measurements” table. Using the corresponding row for your cup, choose the size that best fits your bust. 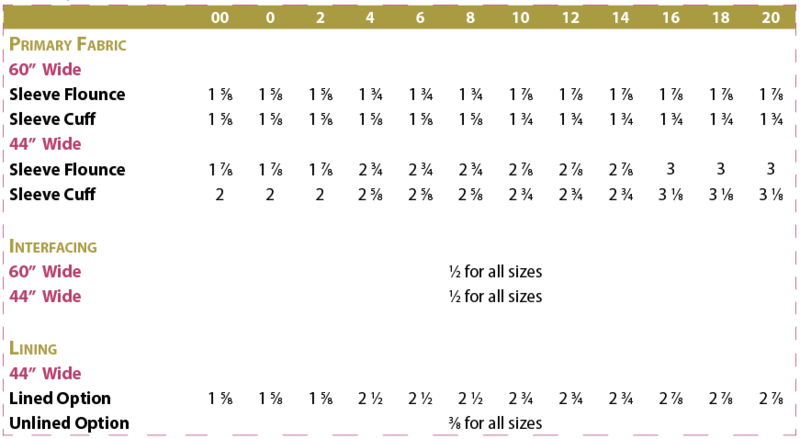 If you are between sizes, choose the smaller size if you like your garment more fitted, as long as your measurement is less than the finished garment measurement; otherwise, choose the bigger size. Compare your hip circumference (widest part) to the “Body Measurements” table. Choose the size that best fits your hips. 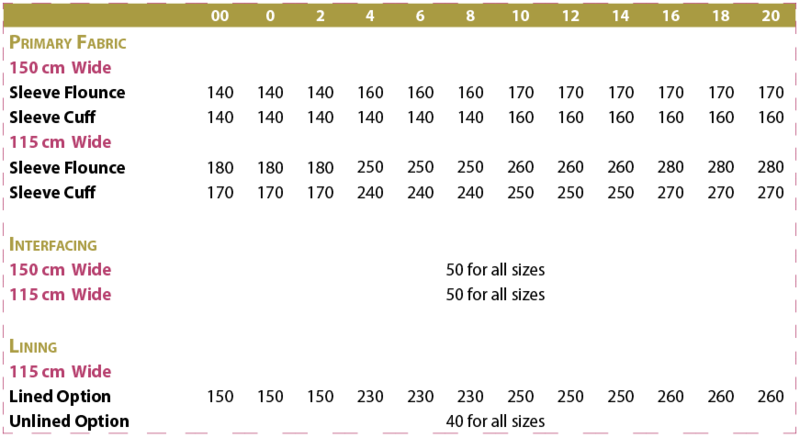 If you are between sizes, choose the smaller size if you like your garment more fitted, as long as your measurement is less than the finished garment measurement; otherwise, choose the bigger size. If you are taller than 5’7” (170 cm) or shorter than 5’4” (163 cm), you should consider lengthening or shortening the bodice and/or skirt (see “Lengthen/Shorten” in the instructions). Primary Fabric Use light to medium-weight woven fabric with or without stretch. Shirting, suiting, rayon challis, broadcloth, linen, satin and crepe are great choices. Lining Washable choices are cotton batiste and cotton lawn. For dry-clean garments, use Ambiance lining, polyester lining, China silk or charmeuse. Note that you will need some lining fabric for the pocket bags even if you decide not to line the dress. I have recently taken up sewing after a 30 year lag. I made this dress for my daughter. I wasn’t sure of the fit so I bought a set of curtains at a thrift store and made the dress from the washed curtains. It fit her perfectly, and she loved the fabric so she is now wearing a $3.00 dress made from used curtains. I was very pleased with the detailed and easy to follow instructions. I loved being able to print just the size I needed. I had a little problem with printing at first so I called the help line. My inquiry was responded to almost immediately and I received the help I needed right away. I have purchased 5 patterns from this company and have made 2 of them so far. Both excellent results. I’m hooked, and honestly I don’t think I will buy a regular pattern again. I hope this company designs more wardrobe basics as well as fashion items. Please keep them coming. This is a beautifully designed dress, with all the seams and darts matching perfectly. It is a bonus that it comes in various cup sizes. In addition to the two sleeves and two different zipper installations included, this dress can be lengthened or shortened and still look great! I think we’ll see many variations of this dress in the near future. AND, the instructions are awesome!